Authors Airwaves – Page 26 – Where Books Come Alive! David W. Powell, author of the award-winning memoir My Tour In Hell: A Marine’s Battle with Combat Trauma, shares his unique insights into the nature of warfare and its impact on the human psyche with interviewer Jake D. Steele on Authors Audio. David enlisted for a tour of duty in April 1966 with the US Marines after receiving an imminent draft notice. Believing he would be able to leverage his existing skills as a computer programmer, he never thought all they would see on his resume was his Karate expertise. Even less that he would wind up serving as a Rocket man in the jungles of Da Nang and Chu Lai for a 13 month tour in hell. David’s journey from naive civilian to battle-hardened combat veteran shows us all how fragile our humanity really is. In addition to killing the enemy on the field of battle, he was witness to countless cruelties including murder both cold-blooded and casual, cowardice under fire, and a callous disregard for life beyond most people’s imagination. With each new insult, he lost a little bit of his soul, clinging to his Bible as his only solace while equally certain of his own demise. Listen to the PodCast! Upon returning to civilian life after a two year enlistment, he found himself with nightmares during sleep, intrusive thoughts while awake, a hypervigilant stance combined with an exaggerated startle reaction, and a seeming inability to control basic emotions like anger and sadness. The price he paid for what would only be diagnosed decades later as Post-Traumatic Stress Disorder was broken marriages and relationships, inability to hold down jobs leading to bankruptcy, alcohol abuse, and having to hide the service he willingly gave to his own country. In 1989, David eventually recovered through a simple but powerful technique known as Traumatic Incident Reduction (TIR) and is now symptom-free. Not just for veterans, TIR has since been successfully applied to crime and motor vehicle accident victims, domestic violence survivors, and even children. His story shows what is possible for anyone who has suffered traumatic stress and that hope, healing, and recovery can be theirs too. It turns out that the universe, like a computer, has an operating system. A computer operating system is a series of instructions that allows the user to access the computer’s components and to run the software programs that allow him or her to perform useful work. The operating system of the computer has rules that it must follow in order to make everything inside the computer work properly. The process by which this is accomplished is actually quite complicated, but the operating system takes care of it all, invisible to the user. The universe also has an operating system, which I am calling the Universal Operating System. Is it possible, do you think, for an infinite creation like the universe to operate randomly? If you ponder that for a minute you can see that in order for anything to work properly it must be well designed. The telephone has a number pad and a display that allow you to use it; the stove has dials to control the cooking temperature. All devices, in other words, have an interface that allows the user to communicate with the machine and direct its proper function. Inside the device, the components are hooked together in the most efficient manner. The universe is no different than your telephone, computer or household appliance, in the sense that it provides a way to interact with you in an intelligent fashion. It turns out that the universe has been designed to directly interface with your thoughts and feelings. Authors Airwaves is pleased to present Heyward Bruce Ewart, III, PhD reading “A New Developmental Model: The Recovering of Self” (Chapter 2) from his new book AM I BAD? Recovering From Abuse. The average reader is likely familiar with the established models of personality development. It can readily be seen that the more recent theorists progress toward a realization of interpersonal events as major factors directing the course of maturation from infancy to adulthood. They are getting closer to the truth. I, however, take a much different approach. Instead of describing how children might ideally develop, I propose a model based on what I have seen as a clinician, treating most known forms of emotional distress and crippling mental disorders for 25 years. My premise is that all children, to some degree, absorb erroneous information about themselves that can misdirect their course through life, prevent full maturation no matter what model is used to measure, and create a false identity. I have named this the “adopted self”. This adopted self can work rather successfully when a child has been fortunate in his life experiences, although it is not the “real self”. Children who are “lied to” about their nature are destined to acquire an adopted self that limits life in direct proportion to the severity of the false information. Child abuse is the worst case, where the most severe lies are communicated most often and most forcefully. If you were abused or neglected as a child, chances are that you have been your whole life, whether you are a man, a woman, or a teen. Child abuse so mangles the personality that the victim unconsciously attracts abusers throughout the life cycle. Lies about yourself were planted deep in your mind by the abuse, and you still believe them. They are crippling your life! Do you have any of these signs? You have symptoms of Post-Traumatic Stress Disorder (PTSD). You feel like a second-class citizen. You have escaped one abuser only to end up with another. Until you understand exactly what the abuse did to you, you cannot get free. You can stay in therapy your whole life and never get a clue. OR you can unravel the mysteries once and for all and bring everything to light by reading AM I BAD? Recovering from Abuse. A great resource for victims, therapists, and group work. 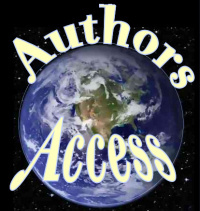 Authors Access is where authors get published and published authors get successful. Each Thursday at 8PM, Victor R. Volkman and Irene Watson interview an industry guru on the subjects of writing, marketing, publishing and how to make it all succeed. We have shows about specific genres including children’s books, fiction, romance, nonfiction, and much more. I guarantee you’ll find many episodes to help you past wherever you may be stuck in the process. The Current Show Lineup lists all our past, present, and future shows! Author and psychiatrist Frank A. Gerbode, M.D. questions the nature of hope and whether optimism or pessimism should be nature of human expectations in light of our hopes and dreams for the future. Join us for a philosophical romp both lighthearted and informative. 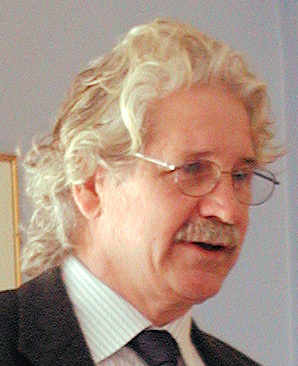 Dr. Gerbode is the author of Beyond Psychology: An Introduction to Metapsychology (3rd Ed., 1995). This lecture was recorded March 12th, 1989 at the 2nd Annual Institute for Research in Metapsychology Conference in Palo Alto, California. Victor R. Volkman is proud to bring you a new podcast stream devoted entirely to airing authors talking about their work. 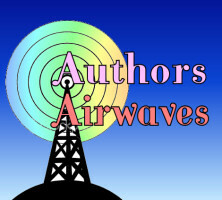 This new program, entitled Authors Airwaves, will feature selected authors reading from their work, being interviewed, and providing brand new never-before heard material. Our authors range from the inspirational to the pragmatic and I’ll be posting one new audioblog right here every Friday. Authors Airwaves is a production of Loving Healing Press.